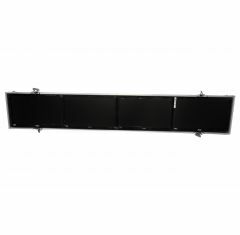 Our Motorsports screen flight cases provide you with durable protection for transportation and storage. These flight cases have been designed specifically for use within the motor sports industry. All cases come with the option of screen printing/total vinyl wrap at an extra cost. To view our standard sceen case range please click here. Can't find what you're looking for? Please call us on 01635 579518 to discuss your casing requirements.